Tanabata, or the Star Festival, involves a Japanese tradition in which people write their wishes on small, colorful strips of paper (tanzaku) and hang them on the branches of a small decorative bamboo tree. It’s widely celebrated all over Japan, typically on the seventh day of the seventh month (July 7) - although some regions observe Tanabata on August 7, depending on how they decided to interpret the old lunar calendar. Based on a story of star-crossed lovers, Tanabata is among Japan’s most vibrant traditional festivals. The history of Tanabata goes back over 2,000 years, and is based on an old Chinese tale. There once was a weaver princess named Orihime, the daughter of the Sky King, and a cow herder prince named Hikoboshi. They lived peacefully and industriously beside the “heavenly river” of the Milky Way. After the two met each other and fell in love, they began neglecting their work: Orihime ceased weaving cloth, and Hikoboshi allowed his cows to wander all around the skies. This angered the king, so as punishment he separated the two lovers across the Milky Way. Eventually, the king relented somewhat and allowed Orihime and Hikoboshi to see each other once a year on the seventh day of the seventh month. The legend stresses that Orihime and Hikoboshi cannot meet if the weather is rainy, so it’s customary to pray for good weather on this day. 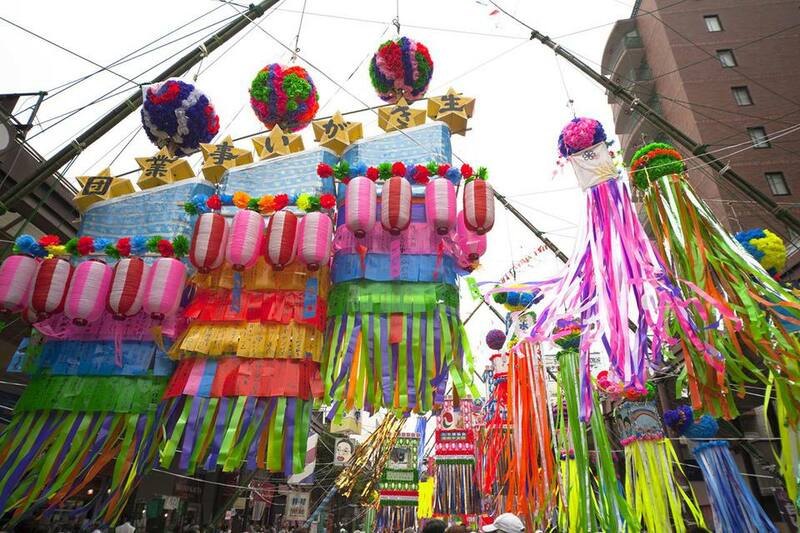 If you’re in Japan in July or August, you can attend Tanabata festivals all over the country. One of the biggest events takes place every year from August 6-8 in the city of Sendai, about a hour and 40 minutes’ journey from Tokyo. In celebration, dozens of handmade streamers are hung throughout the city from long bamboo poles. An impressive fireworks display on August 5 marks the beginning of the festival. In Tokyo, people celebrate in the neighborhood of Asagaya with gigantic papier-mache sculptures of Hello Kitty, Disney and anime characters. Inspired by the Star Festival legend, Osaka creates a real life Milky Way, setting approximately 50,000 blue lights afloat on the Okawa River. If you can’t make it to Japan for Tanabata, try booking a summer trip to California: Los Angeles hosts a Tanabata celebration every year in its Little Tokyo neighborhood.